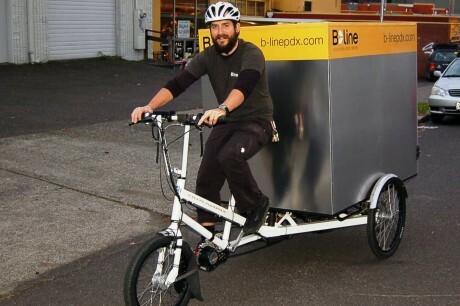 A few weeks ago we announced we were collaborating with B-line Urban Delivery to test our system for commercial use here in Portland. We got a couple of great articles in the press which we thought we’d share here. Here is an article from Sustainable Business Oregon EcoSpeed, B-line Deal Helps Bikers Haul Heftier Cargo and another from the Portland Tribune Bike Delivery Service Tests New Electric Motor. This EcoSpeed Downtube Mount Mid-Drive is being used for commercial hauling by B-Line Urban Delivery. We were grateful for the coverage as we see more and more folks interested in using electric assist with cargo bike and seeing our system in commercial use sets the standard. We were also mentioned in the neighborhood Sellwood Bee. 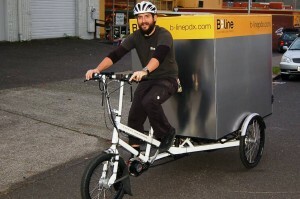 B-line Urban Delivery uses EcoSpeed electric assist to maintain consistency in their delivery schedule. They like the power to weight ratio of the EcoSpeed mid-drive and haul up to 500 pounds of goods. 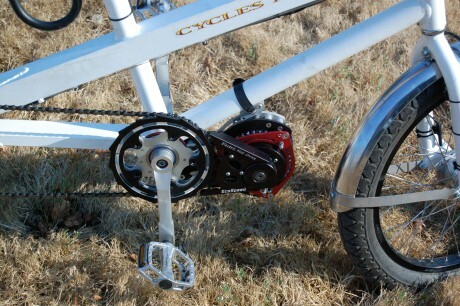 More information about this Downtube Mount here.